The Uganda International Hotels & Restaurants Expo 2018, held from 6th to 8th September 2018 at Hotel AFRICANA, Kampala, aimed at showcasing Uganda’s hospitality and tourism investment opportunities, with a focus on promoting Uganda and Uganda hotels in the U.A.E and neighbouring Gulf countries. Bridging the gap between service providers and the international business community of suppliers, the programs and strategies of the 2018 Expo were carefully designed to provide an equal playing ground and marketing platform for all stakeholders in tourism, hospitality & business investment industries in East Africa. The latest iteration of the expo in Uganda also focused on promoting the international business community to drive economic, social, and environmental benefits to the people, the investors, hospitality and tourism industry of the country. 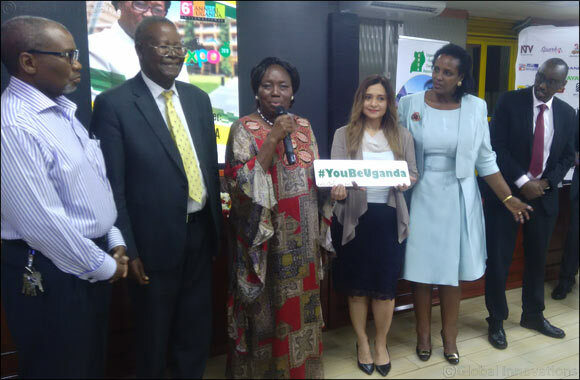 Highlighting the country’s tourism with renewed zeal, Uganda Hotel Owners Association (UHOA) launched the #YouBeUganda campaign on September 5, 2018, at the Business Breakfast Meeting, ahead of the Expo 2018. UHOA Chairlady Mrs. Susan Muhwezi while addressing the Rt. Hon. Speaker of Parliament Rebecca Kadaga, and other dignitaries along with other partners and associates said, “I’d like to recognize the presence of a PR Company that has partnered with UHOA to open up Uganda to the Middle Eastern countries of UAE, Pakistan and India. Together with UHOA, Verve Marketing & Communications will today launch a new campaign #YouBeUganda and this campaign will bring Uganda to the Middle East”. The trending hashtag was launched by Chief Guest Rt. Hon. Speaker of Parliament Rebecca Kadaga, Hon Minister of Tourism Prof. Ephrahim Kamuntu, UHOA Chairlady Mrs. Susan Muhwezi and Stephen Asiimwe, CEO Uganda Tourism Board. #YouBeUganda aims to highlight the country’s tourist attractions, rich natural beauty and leisure activities to the international markets. Home to dense tropical forests, Uganda is harbor to Lake Victoria and is flanked by picturesque islands. Among the unique attractions are the exotic fauna and wildlife that can be experienced by tourists as well as families at the Ngamba Island Chimpanzee Sanctuary. Nature lovers can explore the exotic flora of the Entebbe Botanical Gardens or discover the scenic environment of Kisiizi Falls through treks. Blessed with a tropical climate and amiable weather, Uganda offers some of the most unique nature trails and mesmerizing water trails for breath-taking boat rides, including the Source of the Nile, Kazinga channel in Queen Elizabeth, Murchison Falls in Murchison Falls National Park, Lake Victoria and Ssese Islands. Water sports enthusiasts can discover Uganda’s beautiful waterways by canoeing and kayaking across the Nile, Lake Victoria basin and several other water bodies across the country. A trip to the lush Ssese Islands, Mabamba swamp, Semuliki Wildlife Reserve, Katonga Reserve and several other parts on the shores of Lake Victoria are ideal to explore the country’s exotic wildlife and birds whilst being one with nature.